Bruce’s Purpose was “peace of mind,” rather than his specific goals of becoming a big movie star or financial success. His big Purpose was self-actualization. If your goals are infused with purpose, then it never feels like you’re striving, it feels like it’s a pursuit of becoming. You feel like you’re becoming more of yourself in the accomplishment of your goals rather than needing to accomplish goals for outside accolades and prestige. So much of our culture is built on the pursuit of things, prestige and status—these do not make us happier and often cause anxiety. It’s hard to find your purpose if you are struggling with simple tasks, but if you can imbue your daily tasks with purpose, then they can be easier to accomplish and less overwhelming. When we have purpose, it is easier to focus. For everyone asking what your purpose is, your main purpose is to become your true self. You don’t have to have your purpose figured out, but put yourself on a path to find it. Do you feel like you’re in the flow, or stagnant? By “contrivance” Bruce meant skill, so when you combine instinct and skill with your energy and purpose then you can just flow. Ask yourself this: Can I create purpose around whatever task that I have to do? Take a mundane task and infuse it with purpose. A larger research project would be to ask 10 people close to you how they experience your essence and the moments when they see you come alive and express joy. Ask: when do you see me light up or become joyful? People close to us can sometimes see us more clearly than we can see ourselves. This week we highlight Lulu Wang, an American filmmaker and writer. Shannon knows Lulu because they worked together several years ago when Lulu was first starting out. Born in Beijing and classically trained in piano, Lulu graduated from Boston College with a double major in Literature and Music. In 2016, Lulu released her first feature length film “Posthumous” and earlier in 2014 she was awarded the Chaz and Roger Ebert Directing Fellowship. Her short film “Touch” premiered at the 2015 Palm Springs International ShortsFest and won Best Drama at the Asians on Film Festival. In May 2016, Lulu wrote a story for NPR’s “This American Life” that is being developed into a feature film. Lulu you’re successfully pursuing and we think you’re awesome! Sunny and warm greetings from Brisbane, Australia! I just drove home from work listening to your 19th episode with Steve Aoki, and there were moments my eyes were feeling teary. It's insane, I know. 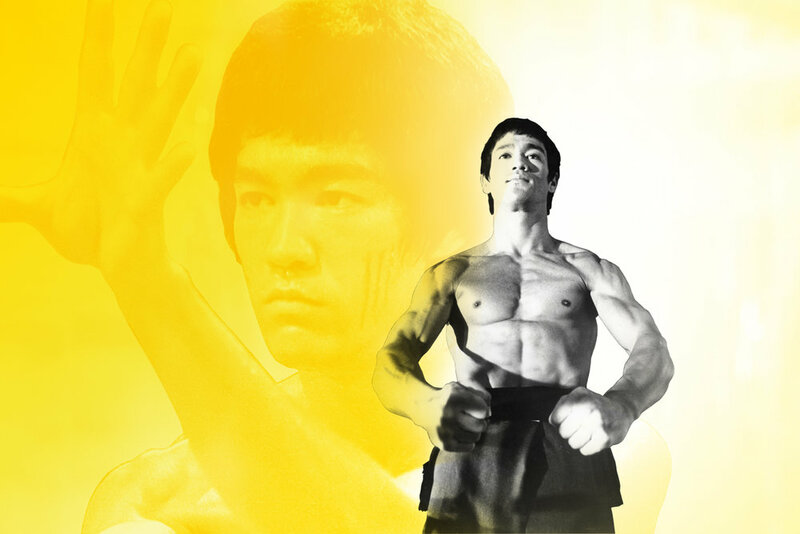 I must be getting really old, but this is yet another awesome episode of the Bruce Lee Podcast! I've been following it since it was first advertised on iTunes. I was so intrigued that I couldn't wait for the first actual content episode. Anyway, here I am, after finally mustering up the courage to write you all a thank-you email. Whenever I'm feeling out of sorts or just downright depressed, I know I can swipe to your podcast on my phone and get a good caffeine-free, chemical-free, and sugar-free stimulant to get me breathing back to sanity. I do realize it's easier said than done, especially when there's a young family to support, just as Bruce Lee and my own father did. To say the least, opportunities for Asians in the late 60s to 70s were not as numerous or diverse as they are now, not that the situation is rosy now either. My father became disillusioned and ultimately returned home to his country to start again. Bruce Lee could not go back. Instead, he accepted his difficulty and converted it into an opportunity. I was highly inspired by that attitude and approach to life, and I think I've done my best so far to emulate that. I give myself a generous B minus. Haha. A relatively long while ago, I saw the restored interview of Bruce Lee by the Canadian journalist, TV personality and author, Pierre Berton, before I knew much about Bruce Lee's personal life. When I first heard him talk about his water analogy, that was my first Bruce Lee Moment, because right then, I knew I had not been living my life like water but rather a block of ice. Drop me and I smash into pieces, clench me long enough and I'll give the beholder a mild frostbite. Whatever the case, it's not fluidity and adaptability; it's stagnation and destruction. I'd been brittle solid ice for a long time, and Bruce Lee taught me to let my "mental molecules" change state to allow myself to flow smart or "crash" through mental barriers with intent and intensity.